The first road show of ICPB was organised on Thursday, 31st March 2016 with concurrent event India for MICE from 31st March to 1st April 2016. 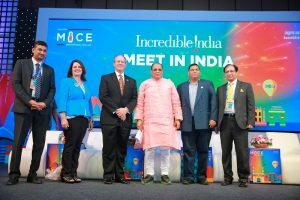 India for MICE Conclave also coincided with the board meeting of world’s largest association of MICE, “International Association of Exhibitions and Event”. More than fifty leading MICE industry leaders have confirmed their attendance in the program. Hon’ble Chief Minister of Telangana, Hon’ble Minister of Civil Aviation, Govt. of India, Hon’ble Minister of Tourism, Govt. of India, Hon’ble Secretary Tourism, Govt. of India were also invited for their presence in the conclave. The two days conclave was attended by over four hundred industry players from all over the country. Meet-in-India – Opportunities and FDI in MICE. Riding the high tide – How to capitalize the positive global outlook on India (Reference to MICE)? Synergizing – Business MICE and Leisure Tourism. Developing and promoting world-class MICE infrastructure and services (including skill development). Destination Marketing – Role of Govt., Associations, Visitor Bureaus, Airports, Convention Centres/Hotels, etc. Confirmation of ICPB’s support to the event by allowing us to use ICPB logo as supporting industry body. Helping us in reaching out to ICPB members for participation in the event. 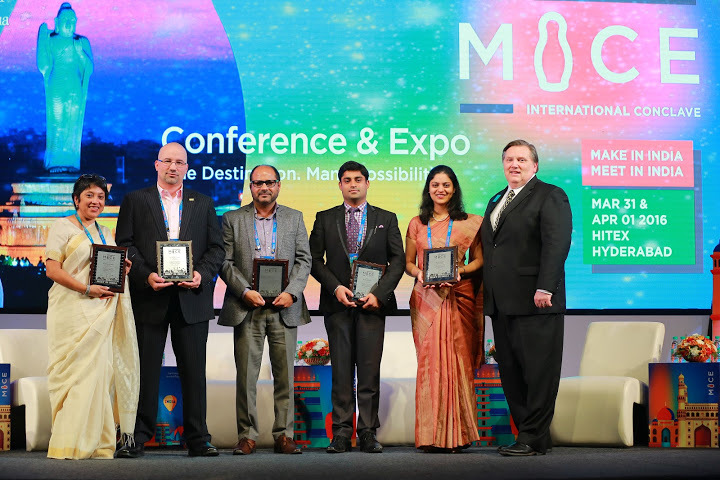 Objective: It was a conference, Expo & Buyer – Seller Meet and the main theme for the event was India for MICE was “Many Possibilities, One Destination. ICPB was allotted a stall on complementary basis. Ms Uma Lahiry and Mr Abhishek Gupta represented ICPB. During the “India for MICE”, the members of the ICPB were given stalls on discounted rates. The following members participated as co-exhibitors. I. India Exposition Mart Ltd.
IV. Taj Hotels Resort & Palaces. The ICPB Road Show was organised on 31st March 2016, and the number of confirmed participant from association based in Hyderabad. The road show was attended by the nine potential participants (list Attached). Also, the following members of ICPB were also present during the road show as Table display. 2. Palomino Hospitality Pvt. Ltd.
3. Vacation Experts Pvt. Ltd.
4. Attitude Events Pvt. Ltd.
6. Alpcord Network Travel & Conferences management Company. 7. AT Seasons & Vacations Travel Pvt. Ltd.
9. Taj Hotels Resorts & Palaces. The membership drive was one of the main objectives in the Road Show. The details are as under with attachment. Total Number of Visitor at the ICPB booth were 51. 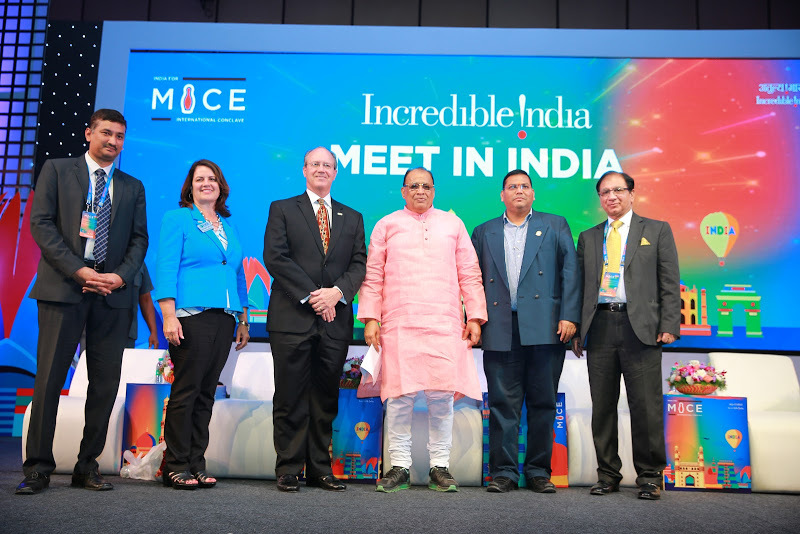 The above initiative in participating in the Road Show and India for MICE has been successful in getting a national & global exposure in the MICE Industry. The passive visitors in the ICPB booth need to be converted to active members of the Bureau. The Bureau in undergoing a major membership drive and is determined to enhance the membership.